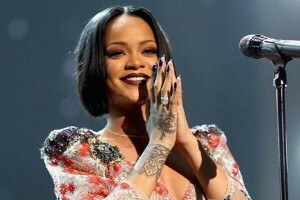 NEW YORK – She’s best known for dazzling the world with her music, but a leading United States university says international Barbadian sensation Rihanna also has a big heart for charity. Yesterday, Harvard University named the R&B superstar its 2017 Humanitarian of the Year for her charity work. “Rihanna has charitably built a state-of-the-art centre for oncology and nuclear medicine to diagnose and treat breast cancer at the Queen Elizabeth Hospital in Bridgetown, Barbados,” said S. Allen Counter, the Harvard Foundation’s director. She has also set up a scholarship programme, named after her grandparents, for Caribbean students studying in the United States, and supports the Global Partnership for Education and Global Citizen Project, a multiyear campaign that will provide children with access to education in over 60 developing countries, giving priority to girls and those affected by lack of access to education. “It is for these philanthropic initiatives and other acts of compassionate sharing that the students and faculty of the Harvard Foundation chose to honour Rihanna with the 2017 Humanitarian of the Year Award,” Counter added. Rihanna will receive the accolade on campus next Tuesday, February 28, the university said.